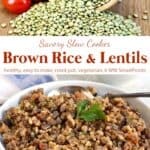 As I was stirring together the ingredients for this savory slow cooker brown rice and lentils, it dawned on me just how much my eating habits have changed over the past several years. As soon as I saw the recipe in Betty Crocker Whole Grains: Easy Everyday Recipes (affiliate link), my most recent GoodWill cookbook bargain, I knew I wanted to try it. And I soooo wish I could reach out and tell everyone who is struggling with their weight and working to develop healthier habits to just stick with it. Don’t stop. Don’t give up. It’s a process that takes time and patience. 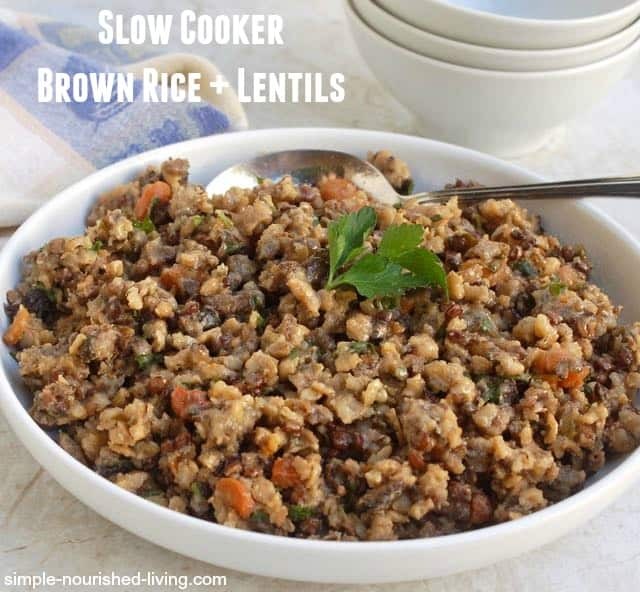 I had a feeling I was going to love this slow cooker brown rice and lentils. But it was a pleasant surprise to discover that Rod really liked it too. 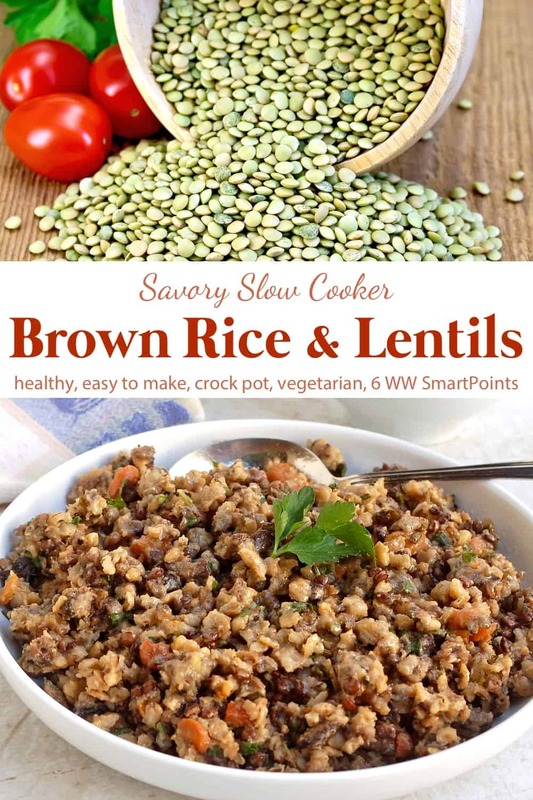 Hearty, flavorful, and satisfying, this recipe for slow cooker brown rice and lentils makes 8 cups, enough for 6 generous 1-1/3 cup main dish servings, with 330 calories and *8 Weight Watchers Points Plus, *6 Freestyle SmartPoints. We’ve been enjoying it as a side dish. Last night it was perfect served with broiled salmon and a simple Asian slaw. Next time I’ll probably make a half batch in my 2-Quart slow cooker to cut down on the leftovers. Or plan to freeze some of it in individual ZipLock bags for quick and easy lunches. Enjoy! If you’ve made this Slow Cooked Lentils with Brown Rice, please give the recipe a star rating below and leave a comment letting me know how you liked it. And stay in touch on Pinterest, Facebook, Instagram and Twitter for the latest updates. This easy, hearty, and flavorful savory slow cooker brown rice and lentils was a surprise hit with the whole family when I made it recently. Grease the inside of your slow cooker with nonstick cooking spray. Mix together everything except the parsley in the slow cooker. Cover and cook on LOW for 6-1/2 to 7-1/2 hours or until the rice and vegetables are tender and liquid is absorbed. To prevent overcooking, do not let this slow cooker brown rice and lentils sit in the slow cooker on warm. As soon as it's done transfer it out of the slow cooker insert into a large serving bowl. Thank you so much for sharing some of this dish with Neal and me. We thoroughly enjoyed it with a simple dinner of grilled chicken breasts and a little avocado and red bell pepper salad we like to make (that’s easy too). The brown rice with lentils was very hearty and delicious and way too easy to go back for seconds. Now that I am venturing into crock pot cooking myself, I’ll definitely want to try to make this sometime soon. I am definitely adding this to my list. I am collecting a variety of rice recipes and this one looks great, thanks for sharing. Thanks, Malen. We really liked it a lot. Hi Martha! Once again your insight about intuitive eating encourages me and gives me hope in my own journey for a peaceful relationship with food. Thank you for sharing yourself so openly and honestly. This recipe looks fabulous — can’t wait to try it! 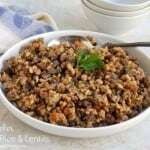 Hi, I’m wondering a little about this recipe, do you soak your lentils beforehand or is it okay to just put them right into the crock pot? I’ve never done this before, so I apologize if it’s a silly question! There’s really no such thing as a silly question! 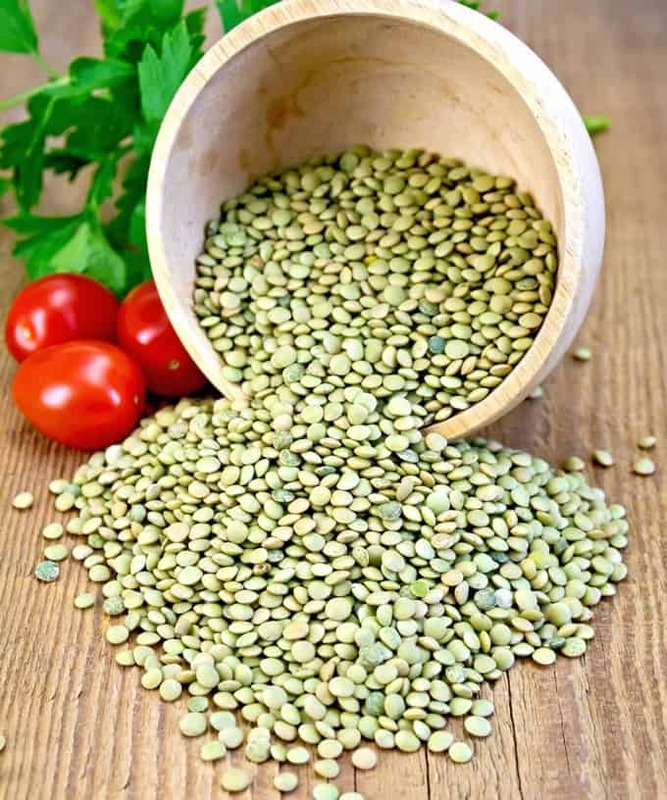 Lentils, unlike other beans, don’t require pre-soaking. You can just give them a quick rinse and toss them right into the crockpot. Hope this helps and hope you enjoy this dish as much as we did. I’m keen to try this and wondreed if I can use prepared lentils. I have a box (same size as can), but no dry lentils at home. Thanks so much for thes recipes! Hi Claire, Yes, you can use prepared lentils, but I would wait and add them at the end, just to heat through. You will want to use about 1 cup of prepared lentils in place of the dry ones. Hope this helps! but family didn’t think it looking appetizing enough. But, love trying your recipes! 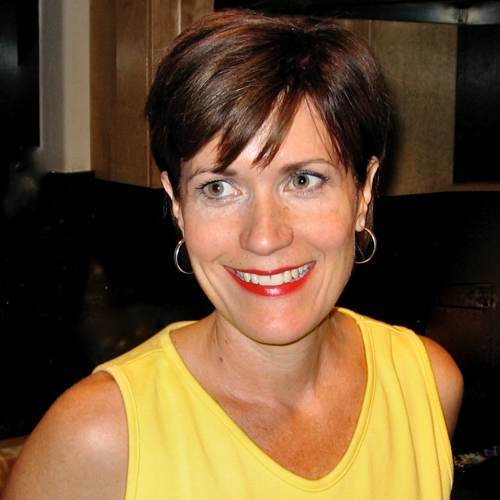 Hi Lisa, sorry this one didn’t work out with you. Rice can be tricky in the slow cooker. It can go from undercooked to overcooked pretty quickly, but usually tastes just as good. I wonder if a bit of garnish could help with the presentation – chopped parsley or a dollop of salsa perhaps?